If you need to retrofit or replace a piece of your existing setup, you have come to the right place. 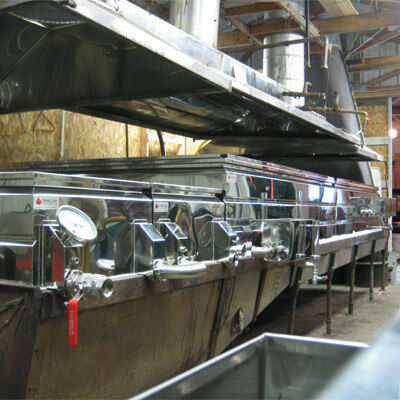 We will make sure the overall sizes of your custom pans and the location of the fittings are exactly what you need. 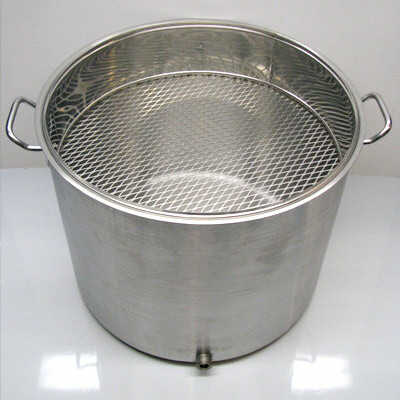 BRIGHT ANNEALED STAINLESS STEEL: Every stack pipe, pan, hood, filtering and bottling unit is handcrafted from bright annealed, 22 gauge, food grade stainless steel. We do NOT work with dirtier metals such as galvanized steel (which has a short life expectancy) or aluminum (which has been linked to Alzheimer’s Disease). TIG WELDS: Every seam is masterfully TIG welded using specialized tooling and comes with a lifetime guarantee. We will NEVER solder any of our stainless steel equipment as soldering is less durable and more likely to spring leaks. FOOD SAFE SHINE: On the inside of the pans, we use specialized, custom tools to block stains from appearing from welding. This means the part of your pan which comes in contact with your syrup – the inside – retains its beautiful shine throughout the entire fabrication process without need for treatment from unnatural polishing agents. EASY-TO-CLEAN FITTINGS: All draw-off ports and other ports are welded from the inside of the pan rather than from the outside. This method eliminates an impossible-to-clean crevice. This is a replacement front pan which was made to fit and function with existing equipment. 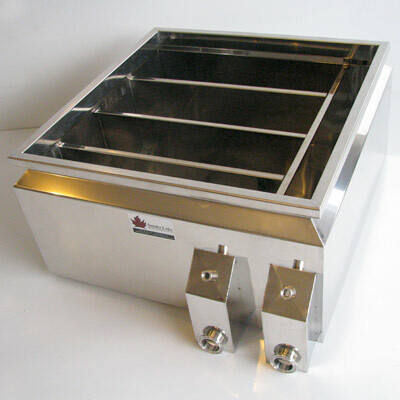 Smoky Lake added a removable filter tray and a convenient draw-off port to this customer’s stainless steel kettle. 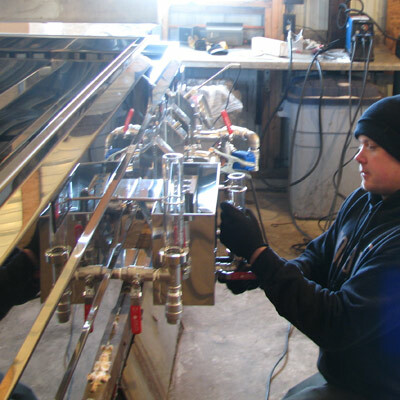 Smoky Lake worked with Drewry Farms to develop a pan set that would meet their energy reduction goals. 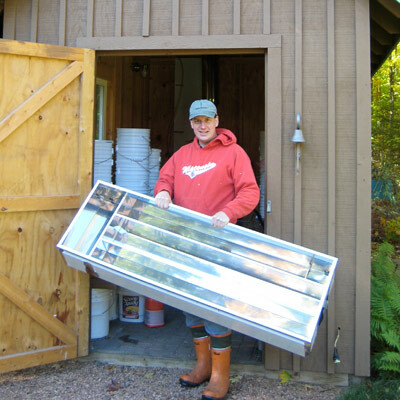 This 6′ x 18′ raised flue pan set was built to fit an existing arch at Olson Bros. Sugar Bush. 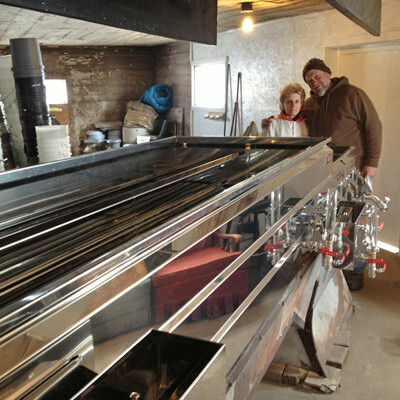 This custom pan set was built to fit the Habecks’ existing arch. This divided flat pan was built to fit the Petersons’ desired size specifications.